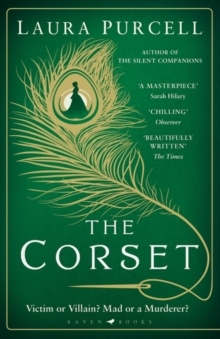 'Laura is a masterful writer, her deliciously gothic stories so skilfully woven that you can't get them out of your head even if you wanted to' Stacey Halls, author of The Familiars'The Corset is a contender for my Book of the Year. Beautifully written, intricately plotted, a masterpiece' Sarah HilaryIs prisoner Ruth Butterham mad or a murderer? Victim or villain?Dorothea Truelove is young, wealthy and beautiful. Ruth Butterham is young, poor and awaiting trial for murder. When Dorothea's charitable work leads her to Oakgate Prison, she finds herself drawn to Ruth, a teenage seamstress - and self-confessed murderess - who nurses a dark and uncanny secret. A secret that is leading her straight to the gallows. As Ruth reveals her disturbing past to Dorothea, the fates of these two women entwine, and with every revelation, a new layer of doubt is cast... Can Ruth be trusted? Is she mad, or a murderer?